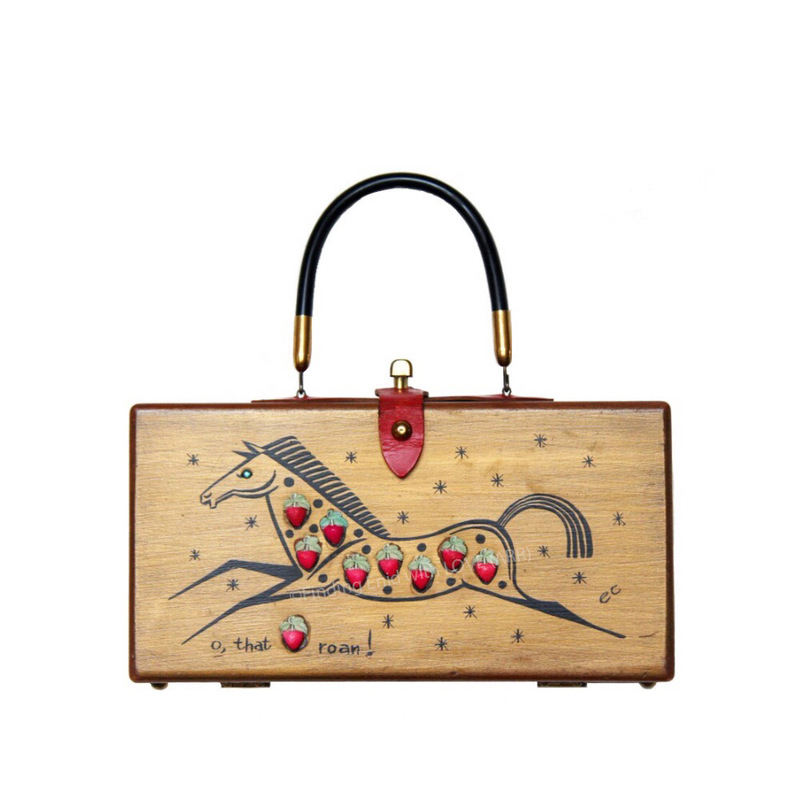 Solid medium-toned wood box purse with rounded edges. Running horse screen printed in black outline with black spots among acrylic strawberry appliqués. Horse's eye decorated in a sparkling faux jewel. Small, asterisk-style stars in black decorate the field. "o, that [strawberry appliqué] roan!" appears in lower left corner in hand-script print style.